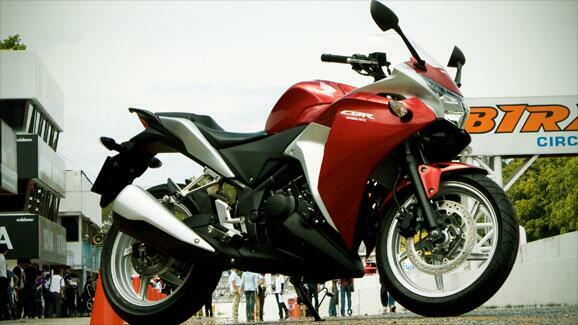 Honda showcased the CBR250R in Mumbai and officially announced its introduction in the Indian market. Honda has already received 2,700 bookings for the CBR250R and will start deliveries from mid-April. Two variants of the bike were announced, the standard version at Rs. 1.51 lakh and the combined-ABS version at Rs. 1.77 lakh (ex-showroom Mumbai). Honda Motorcycle & Scooter India hopes to sell a staggering 30,000 units of the CBR250R in the first year itself. Honda also promised to address the long waiting period that customers have been facing with the inauguration of their second plant at Tapukara, Rajasthan before the end of 2011. This new plant will have a capacity of 6 lakh units to begin with and will produce the Activa and the Twister. The plant has the scope of being expanded to produce 12 lakh bikes annually.